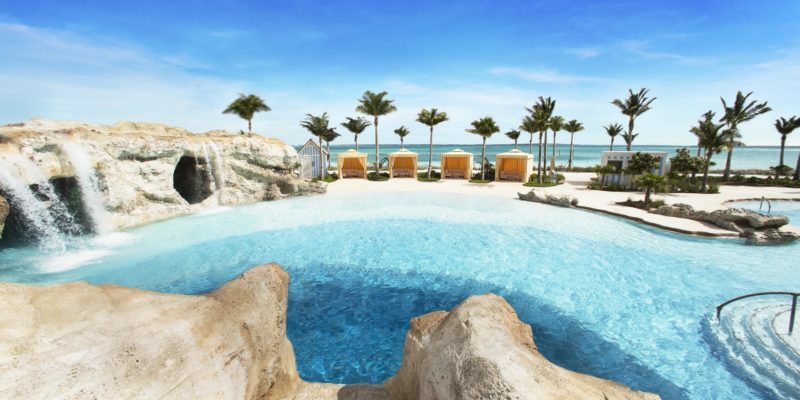 Rosewood is part of the Baha Mar collection of luxury hotels. This venue is the epitome of Bahamian refinement and sophistication. This venue offers the perfect destination for romantic and memorable weddings. The indoor spaces are beautifully designed, as well as lush gardens and beachfront venues. The staff at the Rosewood will create a bespoke event that surpasses your expectation, their experience is invaluable. In addition, it is possible to create a custom banquet menu that reflects the tastes of you and your partner.